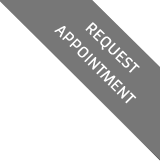 If a perfect smile is on your wish list, contact us for cosmetic dentistry. We created a specialized team of professional prosthodontists and lab technicians that can create your ideal smile. Tell us how you would like to enhance your smile today. First, you will receive a thorough exam to understand your dental concerns and recommend the most effective procedures. We want you to fully understand the treatment plan. So, you will learn about the treatment plan, cost, preoperative and postoperative instructions, recovery expectations, and dietary restrictions, if any. Patients usually have a lot of questions about cosmetic dentistry and we would be happy to answer them. Contact us today for an examination and consultation.